Take a free lesson. We invite guests to enjoy a free falconry and archery session on the paddock opposite the Play Barn. 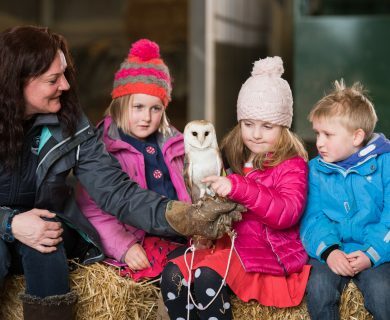 We invite guests to enjoy a free falconry and archery session on the paddock opposite the Play Barn during the school holidays. We’ve been working with Mark at Green Leisure who provides outdoor activities including archery and shooting and Sharon from Ancient Art Falconry who is a bird of prey expert. Mark and Sharon come to the farm during the school holidays to run our free lessons in archery and falconry. Mark also offers his own selection of private sessions bookable through his website. He’ll happily come to The Olde House for a group booking. Give us a call for more information. There are at least five birds of prey to see and hear about, and there are a couple of birds whom you are able to touch. 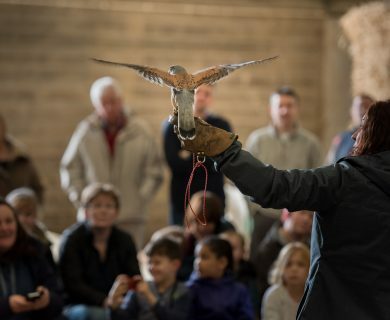 This year the Falconry sessions are running on Mondays at 9.30am and the Archery sessions are on Thursdays at 9.30am and 10.30am, both activities are only available during the school holidays.